Our bestselling daily moisturiser hydrates skin, leaving it feeling soft and smooth. Aqua (Solvent/Diluent), Isopropyl Palmitate (Emollient), Sorbitol (Humectant), Lanolin (Emollient), Glyceryl Stearate (Emulsifier), Cetyl Esters (Emollient), Steareth-2 (Emulsifier), PEG-100 Stearate (Surfactant), Ceresin (Stabiliser), Triethanolamine (pH Adjuster), Tocopheryl Acetate (Antioxidant), Steareth-20 (Emulsifier), Carbomer (Viscosity Modifier), Methylparaben (Preservative), Parfum (Fragrance), Benzyl Benzoate (Solvent), Butylparaben (Preservative), Ethylparaben (Preservative), Hydroxycitronellal (Fragrance Ingredient), Isobutylparaben (Preservative), Propylparaben (Preservative), Limonene (Fragrance Ingredient), Geraniol (Fragrance Ingredient), Linalool (Fragrance Ingredient), Citronellol (Fragrance Ingredient), Cinnamyl Alcohol (Fragrance Ingredient), Alpha-Isomethyl Ionone (Fragrance Ingredient), CI 14700 (Colour). This product comes in a screw cap pot. The cream has a mid texture and quite a strong fragrance. 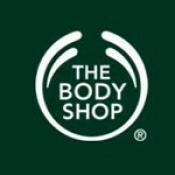 When applied to skin it feels cooling and is absorbed very quickly. The Vitamin E will aid repair burns or scarring, so this this a great product to have on standby. 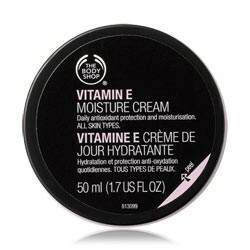 I love the body shop vitamin E cream. It has a great texture that is not too heavy or greasy and it melts into skin really easily. I love the subtle scent of this cream too. It leaves skin soft,smooth and smelling great. A great price too for a great quality product.